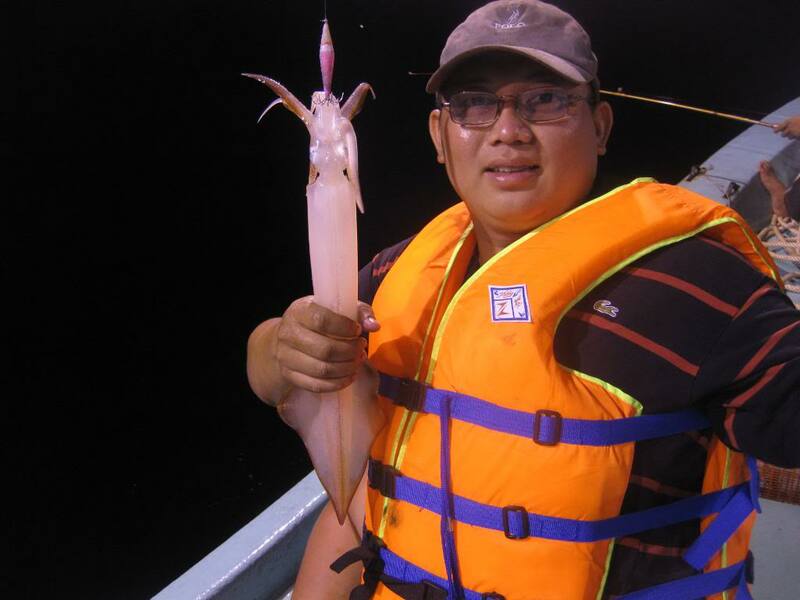 Tourists can try fishing squids whenever because this kind of service is always available. 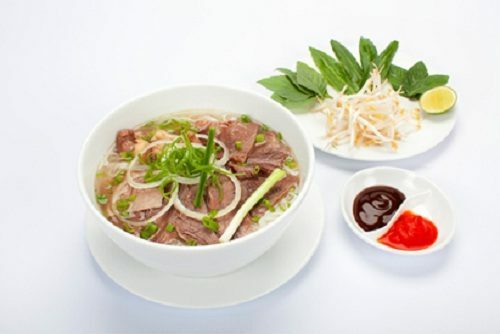 However, the best time for it is from November to February because at that time, the weather is quite cool even drizzly and the temperature is approximately 20 degree Celsius. Moreover, from 8 p.m on the mentioned days, it will be very convenient for your fishing. 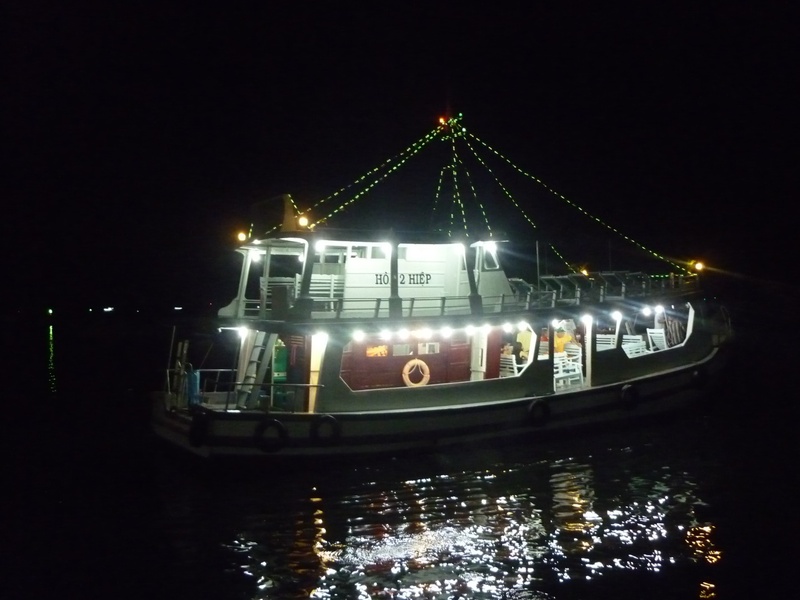 Especially, according to the experience of many old fishers, tourists should choose the night without moon. Because if there is the moon light, squids will not be attracted by the light from boat. Therefore, it will be very difficult for visitors to catch them. However, besides the natural condition, the result of fishing also depends much on the luck. The fake bait is made from rubber in the shape of shrimp. Moreover, it was attached with a fishing-hook. This kind of bait is odorless and its color is the same as the genuine one. The fake bait is tied directly on fishing-line. When being throw into the sea, it will sink slowly and attract squids. Specially, this kind of bait will move like the movement of genuine shrimp. Therefore, the squids will attack it and use their antennas to surround the bait. At that time, they will be kept by the fishing-hook. After that, tourists have to pull quickly. There are many brands of fake bait for travelers to choose such as Yo-Zuri from Japan. This will be more effective for fishing because besides the bait, there is a luminescent system which can attract the squids. The average price for this kind is about 60-100 thousand dong per one. You can prepare the fake bait before or buy it on the boat. The fishers are always ready to introduce every kinds of bait for you to choose. You should choose the tough fishing-rod with 2-3 meters in height. Besides, the fishing-line should be from 20 to 25 meters. Actually, you will be help by the staff on the boat about how to connect the fake bait with fishing-rod. -You have to drop the line gradually rather than quickly. -After that, bring it closer to the boat and observe carefully. 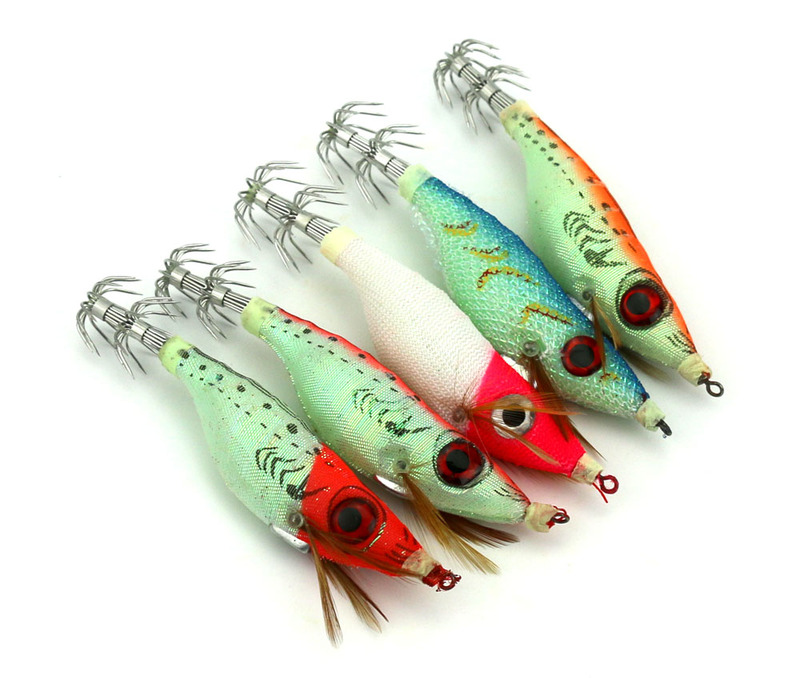 -If squids swallow the fake bait, you will feel the fishing-rod heavier and see the movement from surface. At that time, you have to pull it up quickly but not too strongly. -If 5 minutes after dropping the line, there is no signal, you should pull the line and clear the fake bait. Then, continue throw it into the sea. Firstly, because the time for fishing is at night, you need to remember to bring along a thin coat in order not to be cold. Secondly, you shouldn’t stand too close to the side of the boat. 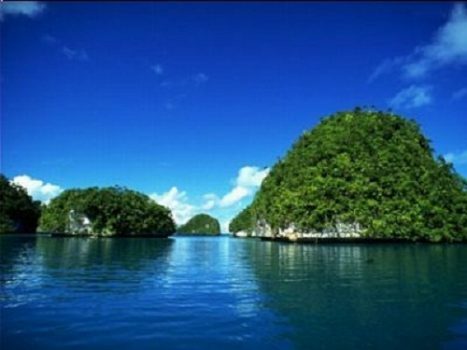 Thirdly, you have to wear life-jacket and follow the guide of staff on the boat. 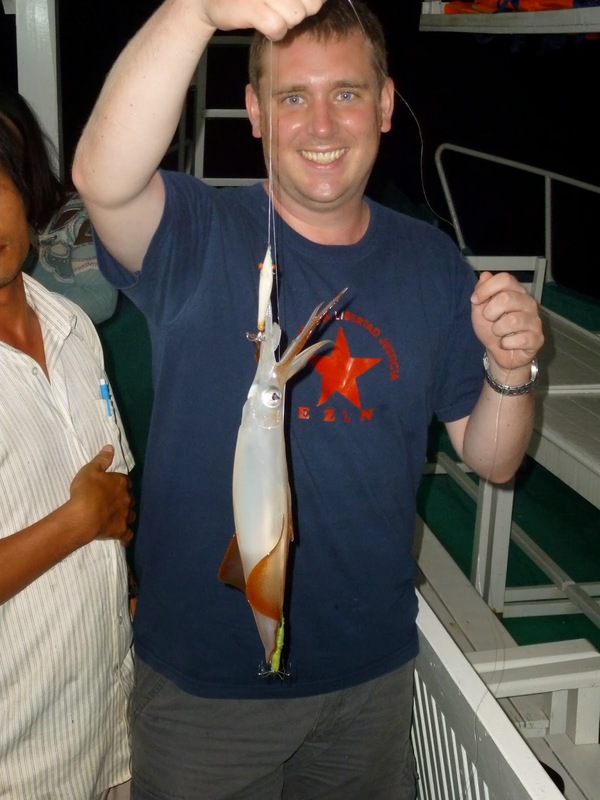 Fishing squids in Halong Bay is one of the most interesting activities in this beautiful bay. Besides skills, this also require the luck. 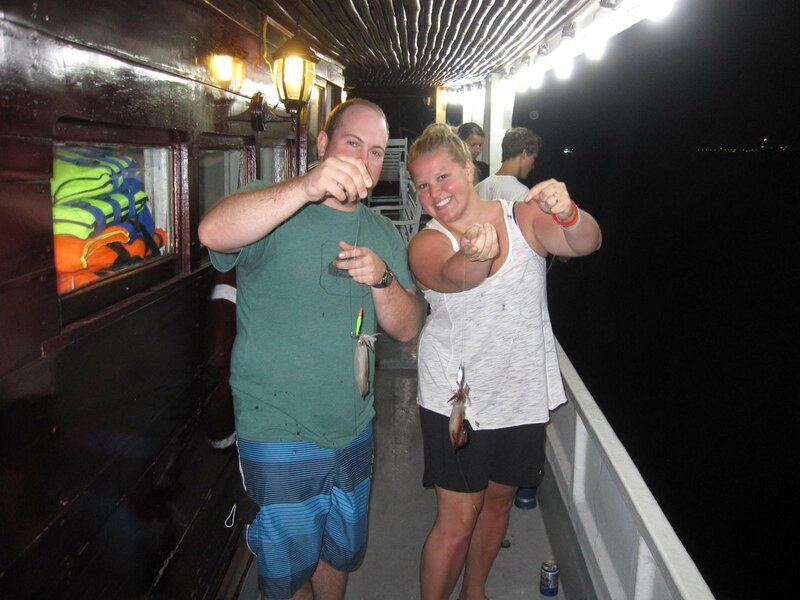 Therefore, if you haven’t fished any squids, don’t be sad because you still have memorable experience on the boat. 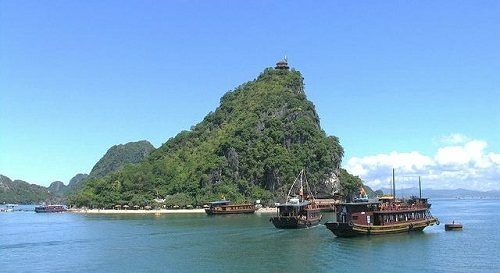 Try coming here and enjoy a night in Halong bay with fishing squids.